Now users of all models and brands of ESCs can appreciate and enjoy the advantages of Lithium Polymer (Li-Po) battery packs without the fear of damaging the cells. The Team Novak Smart-Stop Li-Po Cut-Off Module will monitor your Li-Po battery pack voltage and prevent the batteries from going below the critical safety voltage level. This is achieved using a combination of throttle interruption and a visual cue from the included ultra-bright blue LED. The Team Novak Smart-Stop Modules are available for 2-cell (#5470) or 4-cell (#5471) Li-Po battery packs and can be used with any brand brushed or brushless speed control for car, boat, or air applications. For racers and bashers alike, the Team Novak Smart-Stop Module will prevent your vehicle from draining your Li-Po packs below their safety level. 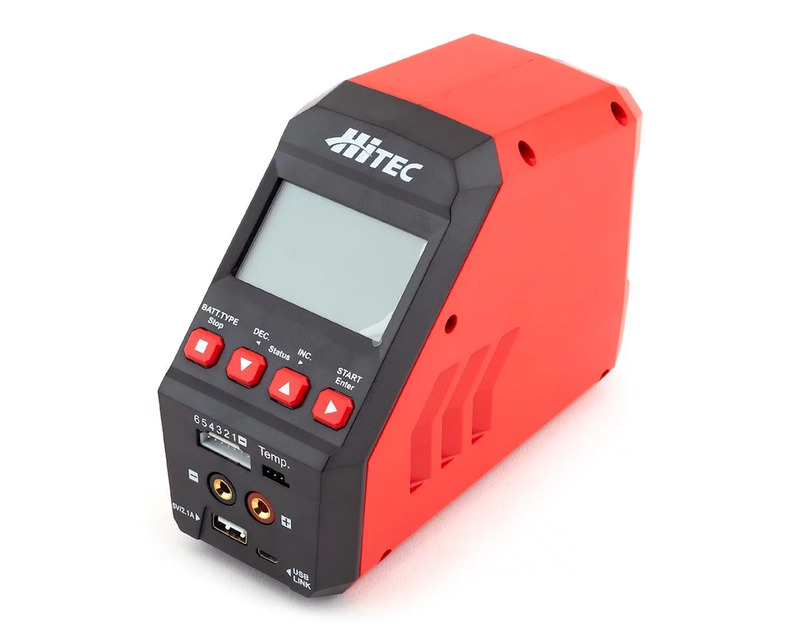 The Team Novak Smart-Stop Module connects between the receiver and speed control, and is easily set up with a One-Touch Set-Up button to learn the ESCâ€™s settings for accurate and complete control. The Team Novak Smart-Stop Module will interrupt the ESCâ€™s throttle operation with short periods of throttle blipping. This is a warning that the Li-Po battery voltage safety level is approaching, giving the user a chance to bring in the vehicle. In addition, the remotely-mounted, ultra-bright blue LED will begin to flash, giving a clear visual cue that it is time to stop the vehicle. If the vehicle is run beyond this warning period, the Team Novak Smart-Stop Module will bring the motor to neutral while leaving full steering servo control. 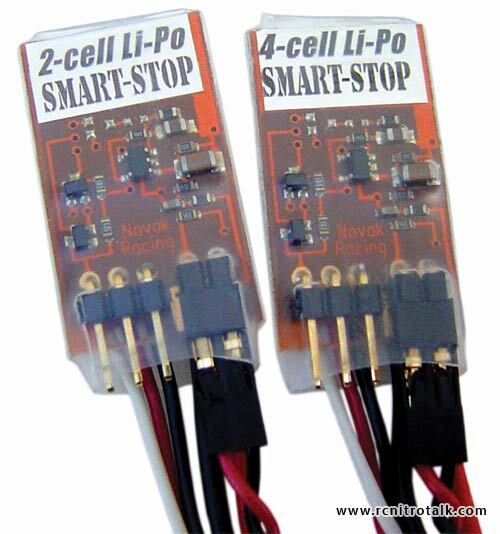 Discuss the new Team Novak Lipo Smart Stop in our General Electric Talk forum!